Carved Hand made Leather Journals is carved in the traditional way and bind with leather latches. 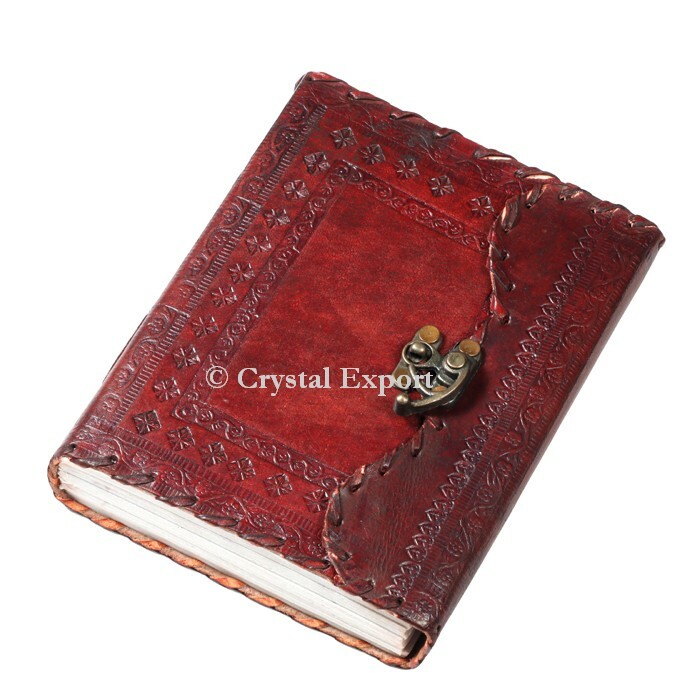 It has lock on the top of journal so no one can read your thoughts and feelings.Order Online at Crystal ExportLeather Journals with Malachite Stone has a unique stone in the center of every journal giving a distinctive character to them. Uniquely structured and carefully assembled. This Leather journal is produced using high caliber costly leather; it is stylish, Cool and upset looking.It has perfect size of 5 by 7 and easy to carry in your bag.It has Numbers of plain sheets plenty to write down any notes, every day plans, unpleasant sketch or thoughts for your book, novel or projectile diary. Order Online at Crystal Export.